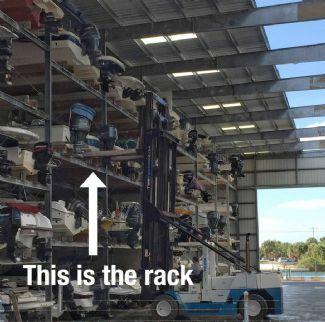 Boat condo rack for sale at Gulf Harbor Marina, Nokomis, FL. Rack is 9.8w x 10h x 25l. Located 5 min from Venice inlet with no bridges. Owner gets 10% discount on fuel. Beautiful facility. $28,500. Sale Price: $28,500 Mostly listings charge by "Flat Rate" per month.